A lovable pug named Mr. Biscuits needs your help! Help a cute little pug solve a mystery in Mr. Biscuits: The Case of the Ocean Pearl! Come on board the cruise liner the Ocean Pearl as you work to unravel its latest mystery. Something has happened to one of the ship’s guests, Mrs. Cambridge, and it is up to you to figure it out. 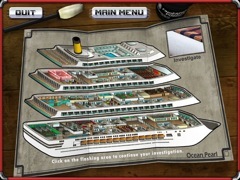 Travel throughout the ship as you search for evidence and collect clues to solve your case. 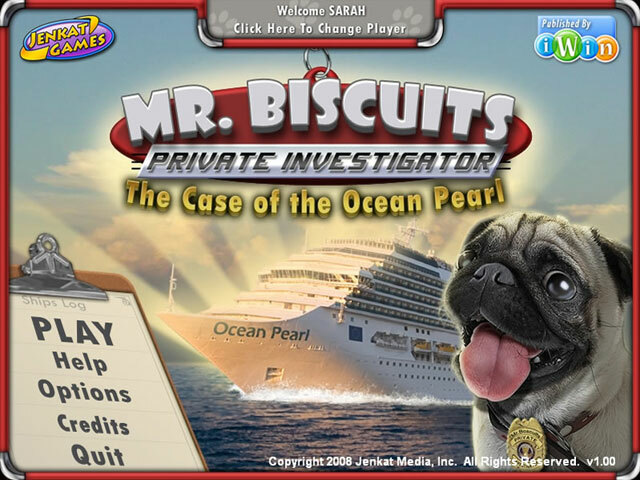 During the search you’ll be joined by Mr. Biscuits, Mrs. Cambridge’s lovable pug, who will help you complete each area of your investigation and gain more clues. But be careful as the suspects involved will work to distract you and remove evidence from the scene. Who did it? Why did they do it? How does a dog know so much? Answer these questions and many more in Mr. Biscuits: The Case of the Ocean Pearl!